Did you know that eating vegetables helps slow ageing, control body weight and can even make you look healthier? Eating plenty of different types of vegetables reduces the risk of heart disease and Type 2 diabetes. 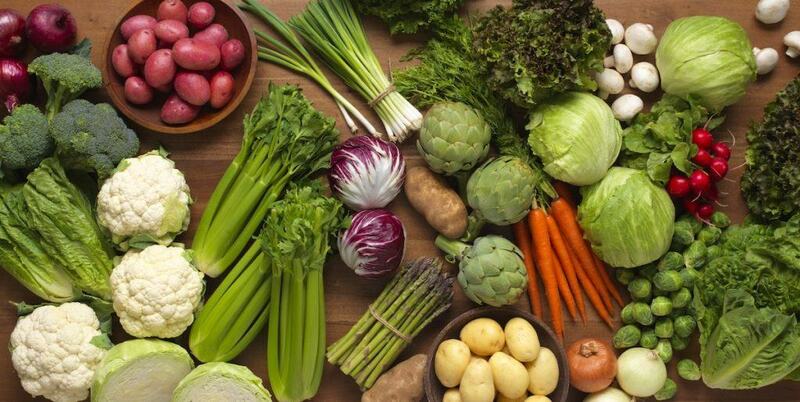 Having lots of vegetables has also been shown to decrease the risk of many cancers including stomach, breast, lung, colorectal, oesophageal and oral, endometrial, ovarian and bladder cancer. Vegetables contain important vitamins and minerals such as magnesium, potassium, folate and Vitamin C. Magnesium helps keep bones strong and potassium can help reduce blood pressure. Vitamins like folate can protect you from heart disease as well as look after your DNA (the blueprint for building our bodies). Folate is very important to consume during pregnancy. Vitamin C can help to ‘mop up’ harmful substances, called ‘free radicals’, which can increase the risk of cancer. We even know that people who eat more varieties of vegetables are able to stay a healthier weight. Aim for 5 serves of vegetables per day. Some nutrients in vegetables (such as Vitamin C and Vitamin A) can be lost if you boil them (e.g. water soluble Vitamin C and Vitamin A). Try steaming vegetables instead of boiling to retain more of the nutrients. Have you heard the saying “An apple a day keeps the doctor away?” Well, it’s true! By eating more fruit, you can lower your risk of heart disease, stroke and many cancers including stomach, oesophagus, mouth, pharynx and larynx. Eating enough fruit means you have a lower chance of being overweight as it helps control your appetite and make you feel full for longer. Research suggests that increasing your fruit and vegetable consumption (especially orange and yellow fruit and vegetables) can make you more attractive by changing your skin tone! 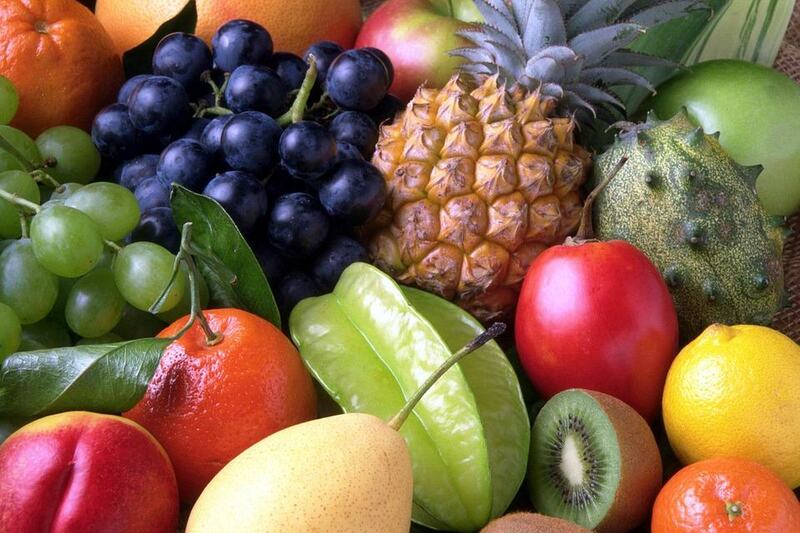 Eating fruit will supply your body with important nutrients such as Vitamin C, folate, potassium, Vitamin A and fibre. Aim for around 2 serves/pieces of fruit per day. Did you know that tomatoes are technically a fruit? But don’t try telling this to the US Supreme Court who in the 1893 case of Nix V’s Hedden decided that tomatoes were vegetables and therefore subject to the vegetable tariff. The amino acids found in protein foods, such as lean red meat, chicken, pork and fish are the building blocks for essential parts of our bodies including the skin, heart, lungs and eyes. Meat, fish and poultry are excellent sources of protein and minerals such as iron and zinc. Low iron levels can lead to tiredness, reduced ability to work and less resistance to infection. Lean red meat is a good source of zinc which can also help to fight infections. All meats, poultry, fish, shellfish and eggs are excellent sources of vitamin B12, which has a very important role in brain and nerve function, metabolism, making DNA, forming blood and protecting our DNA. Fish and seafood are excellent sources of omega 3 fats that help reduce inflammation in our joints, protect your heart and improve brain function. Did you know that there would be no life without protein? It is contained in nearly every part of the body including the skin, muscles, hair, blood, body organs, eyes, even fingernails and bones. 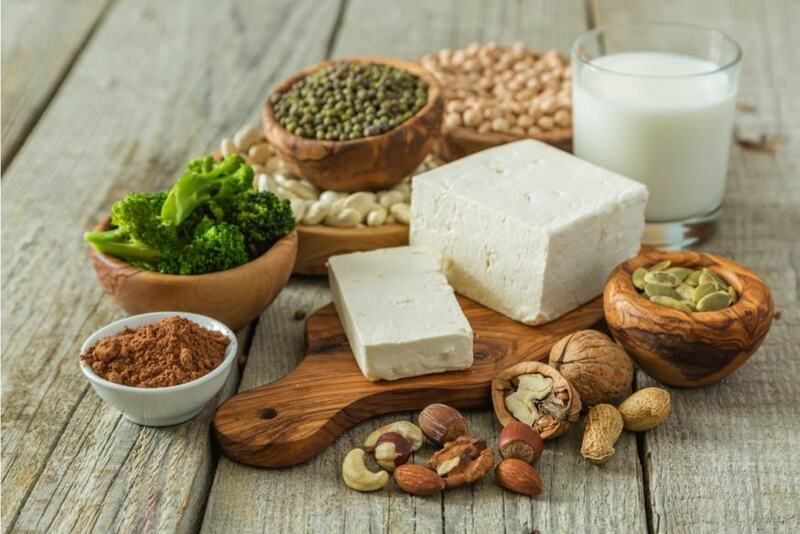 Good plant sources of protein include legumes such as beans, peas and lentils, nuts and seeds and soy products including soy beverages, tempeh and tofu. Protein alternative foods also provide the body with iron and zinc. Including more vegetarian foods in the diet provides many health benefits including a lower risk of being overweight or obese, having heart disease, Type 2 diabetes and some types of cancer, for example colon cancer. 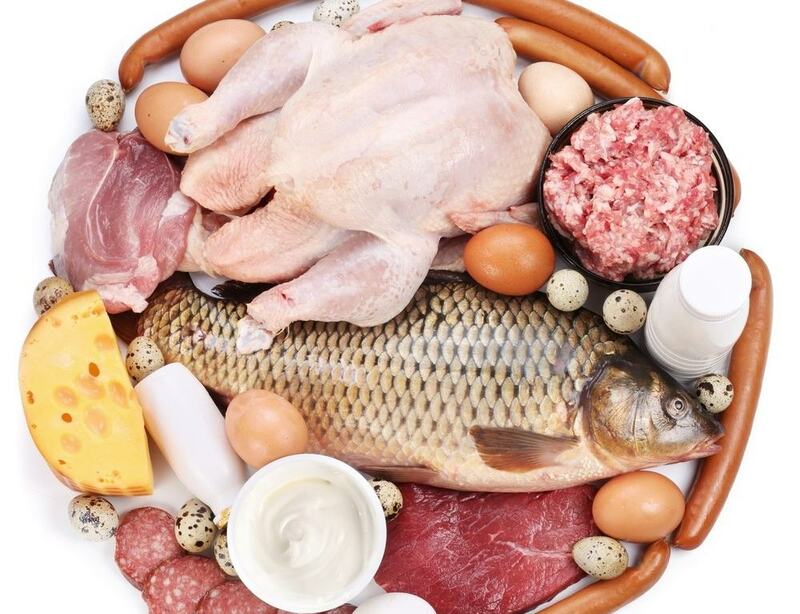 Vitamin B12 is only found in animal foods or animal by-products such as milk, eggs and cheese. If you follow an eating plan that includes milk and eggs (lacto-ovo-vegetarian), it is unlikely that you would have a vitamin B12 deficiency. If you follow a strictly vegan diet (eating no animal meat or by products from animals) you may experience vitamin B12 deficiency. Seeking out the advice of an Accredited Practising Dietitian will ensure your eating plan is well balanced if you are vegan. Note: Whole nuts and seeds are not recommended for children aged 3 years or under because of potential choking problems – nut butters or nut pastes can be used instead for those without an allergy. Try an international cuisine, like Indian, that uses dried lentils or beans. Add the spices you need for these dishes to your shopping list. 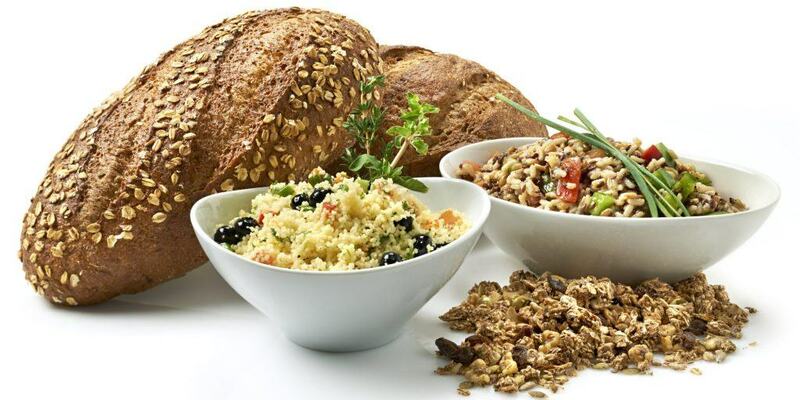 Grains, breads and cereals provide carbohydrate, the bodies preferred form of fuel for your muscles, energy for your daily activities and for growing bodies. One of the most important jobs of wholegrains is to provide fibre. This helps improve bowel function, keep you regular, and reduces the risk of bowel cancer. Grains are an excellent source of B-group vitamins including niacin, thiamin, folate and riboflavin. Vitamin B groups are essential for good vision, healthy skin and burning energy. Grains are also an excellent source of vitamin E and to top it off, they are cholesterol free! Wholegrains can slow down the rate at which food moves through your body. This can make you feel fuller for longer, which can help with weight management. They also provide a good source of minerals, such as iron, magnesium and zinc. Astronauts from Apollo 11 boosted their brain power while in space by eating breakfast cereal. The cereal was mixed with fruit and pressed into cubes since the lack of gravity kept the astronauts from pouring it into a bowl with milk. Eating breakfast everyday can boost energy levels, increase your metabolism and help with concentration. 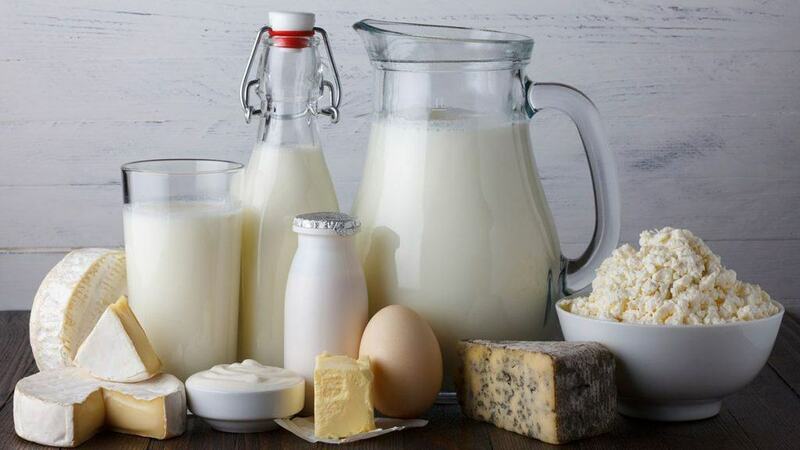 Dairy foods provide over 10 essential nutrients with a wide range of benefits. They contain calcium, phosphorous, protein and some B vitamins. A constant supply of calcium is vital to build bone in the young (even up to your mid 20’s) and also to protect bones as we age. Eating an adequate amount of dairy has also been linked with maintaining a healthy weight. Aim for 3 serves of reduced fat dairy foods per day. The average cow produces around 25 litres of milk per day. This is equivalent to over 100 glasses of milk! Also, your healthy child should be eating low fat dairy foods from the age of 2 years. Did you know that water makes up about 2/3 of your body weight? We need water to transport the nutrients we eat to other parts of the body and also flush away any waste products we no longer require. When it is hot, water is needed to cool your body through sweating. Dehydration is when we have not drunk enough water and can cause physical and mental tiredness. Studies have shown that loss of fluid by as little as 2% of body weight can cause a detectable decrease in sports performance (that is a 1.3kg loss in a 65kg person).Dehydration of greater than 2% loss of body weight increases the risk of nausea, vomiting, diarrhoea, and other gastro-intestinal problems during exercise. Cola drinks, coffee, and tea, while made up almost entirely of water, also contain some caffeine. Caffeine can act as a mild diuretic, meaning that you may need to go to the bathroom more. You know when you are drinking enough water when your urine is the colour of straw. Yeast spreads are great sources of B vitamins, as are green leafy vegetables, wholegrains and nuts. Low heating of fresh tomatoes into sauces can increase the levels of some nutrients such as the powerful antioxidants lycopene and beta carotene, which can help reduce risk of cardiovascular disease and some cancers. 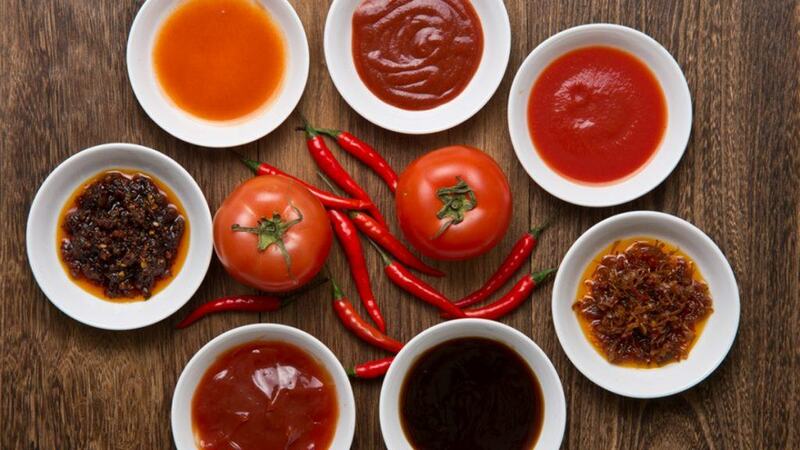 Sauces and condiments can improve the flavours and textures of other foods, which can help increase variety in the diet. Having tomato based sauces regularly can provide important nutrients for health, including beta-carotene and lycopene. Yeast spreads (including vegemite, promite and marmite) are great sources of B vitamins. Other foods that are a good source of B vitamins include green leafy vegetables, wholegrains and nuts. Other foods that can be added in and are high in lycopene, beta carotene and other carotenoids are capsicums and corn kernels. Tomato relishes can be used as a quick addition to salad sandwiches and can add interest to homemade pizzas. Lycopene is an antioxidant compound that gives tomatoes and certain other fruits and vegetables their color.